I have a small camera collection and frequently experiment with different mediums to capture meaningful stories through photography. I was captain of my varsity high school and division III college soccer teams and have coached a local youth girls team. I am a former DJ for Wellesley College's student-run radio station and host of my show, "Planet Claire" from 7-9pm on Thursdays. I want to open a natural wine bar someday. 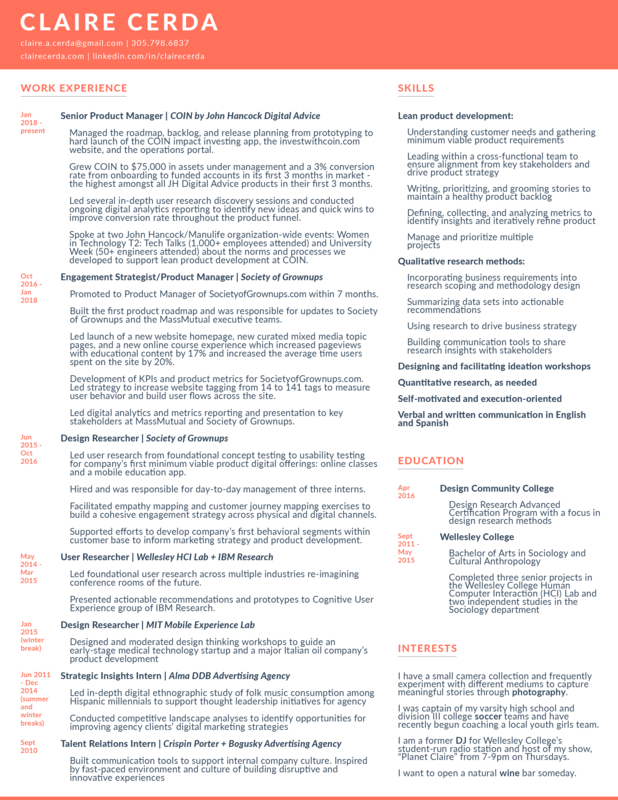 Interested in a PDF copy of my resume? If you have any questions about my resume or want to learn more about a project I worked on, please get in touch!